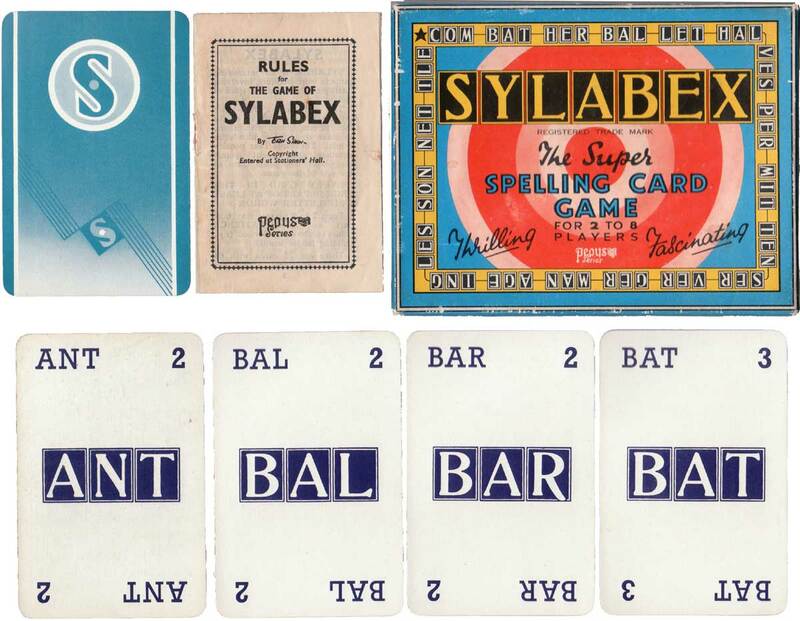 Sylabex is a syllable word game devised by Ern Shaw which was first published by Pepys in 1948 containing 72 cards. The game was re-issued several times as follows: 2nd edition 1972 (45 cards) • 3rd edition 1975 (45 cards) • 4th edition c.1980 (45 cards) published by Castell Larby after merger. 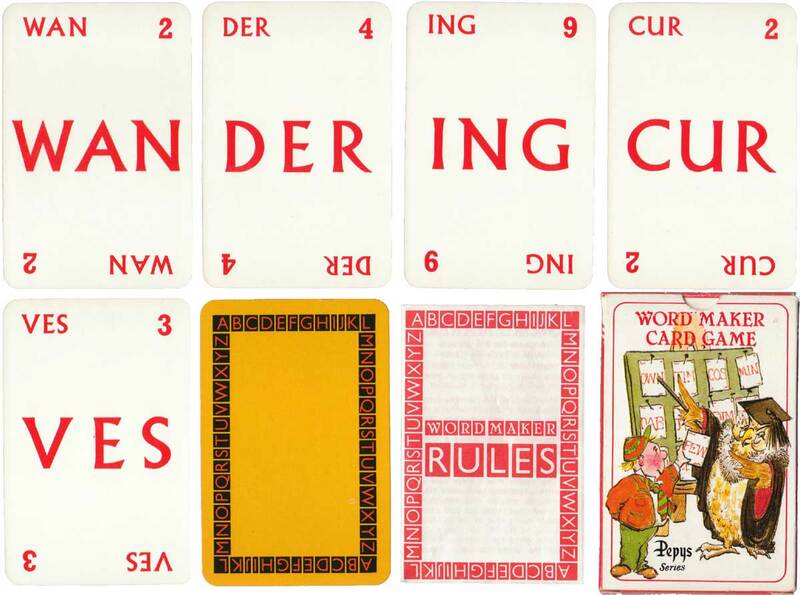 In 1984 the game was renamed “Wordmaker” (45 cards) and published by Gibson after Castell ceased trading. 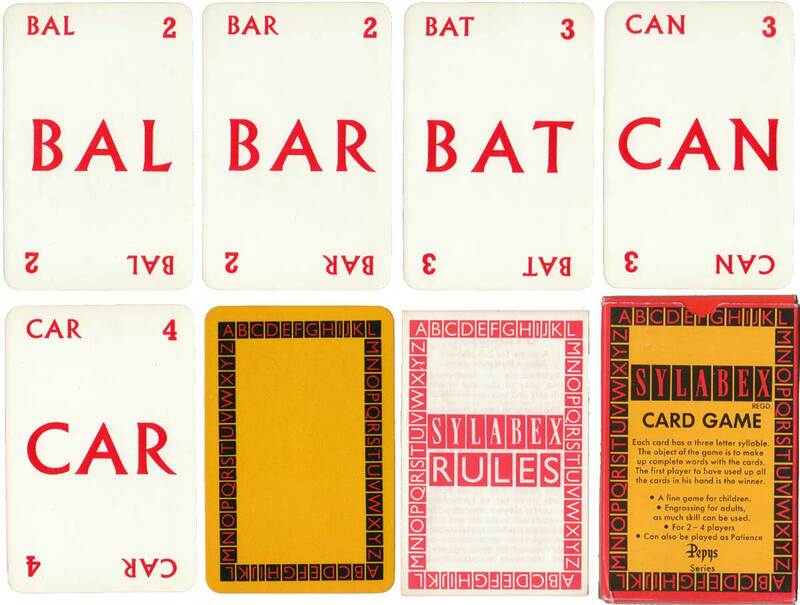 Each card has a three-letter syllable and the object of the game is to make complete words. 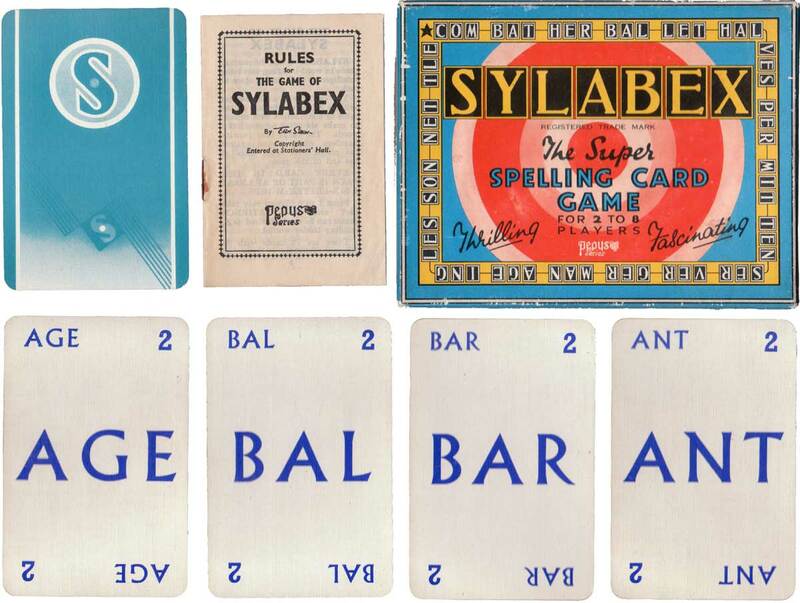 Above: Sylabex published by Pepys, first edition in a double sized lid and bottom type box with 72 cards, 1948. 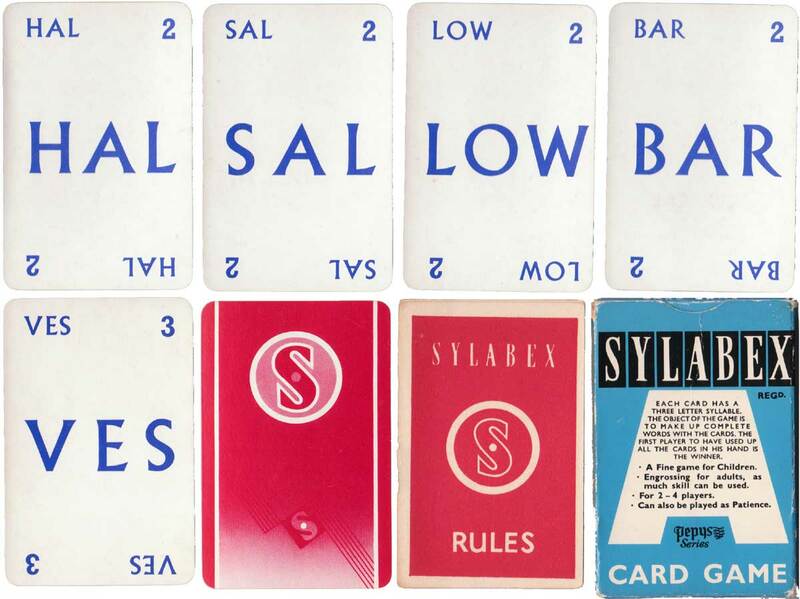 Above: Sylabex published by Pepys, 2nd edition in same large box but with new typeface on the cards, 1972. Above: Sylabex published by Pepys, 3rd edition in smaller tuck box, 1975. Above: Sylabex published by Pepys, 4th edition, c.1980. Above: Word Maker published by Gibsons, 1984. All images from the collection of Rex Pitts.